Cal State Long Beach’s spring 2016 semester begins Tuesday, which means the new sailing semester is about to kick off! 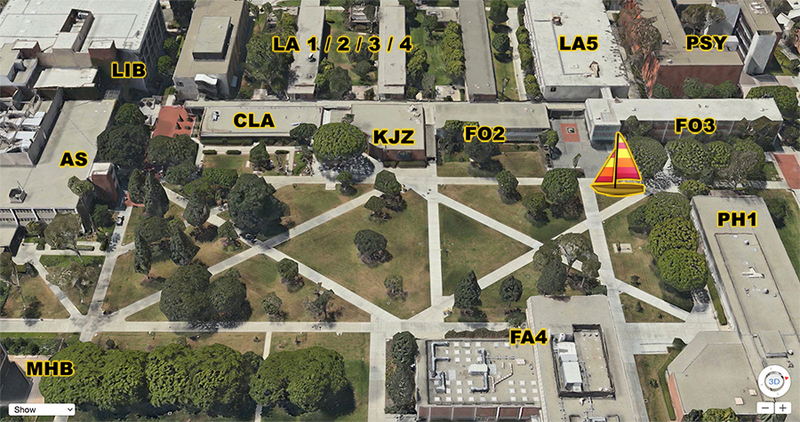 Where: CSULB, upper campus quad, Northwest corner (map here). Look for the big, colorful catamaran sailboat! Why: Stop by for information on: 1) the club, 2) our “open house” sailing barbecue on Jan 30th, and 3) our beginner sailing lessons, which begin Feb 6th and 7th. Why: Free food and free sailing! Our “open house” welcome barbecue is your chance to sail, eat, and sign up for beginner sailing lessons for Spring 2016. Where: Lessons take place each week at Leeway Sailing Ctr (5437 E Ocean Blvd, Long Beach, CA). Why: Learn to sail, of course! Lessons are designed for those with little to no previous sailing experience. If you’re a CSULB student and want to learn, we’re your best opportunity! Note 1: All sign-ups take place in-person at the Jan 30th welcome BBQ. Spots fill up quickly, so please arrive at noon to ensure yourself a space in Saturday or Sunday classes.